It's peculiar how no-words can be better than words. How silence can say more than noise, or a person's absence can occupy even more space than their presence did. Suzy is 12 when her best friend, Franny, drowns one summer at the beach. It takes two days for the news to reach Suzy, and it's not something that she can accept: Franny has always been a strong swimmer, from the day they met in swim class when they were just 5. How can someone all of a sudden, just no longer be there? Suzy realizes that they must have got it wrong: Franny didn't just drown - she was stung by a poisonous jellyfish. This makes a lot more sense to Suzy's logical mind than a random drowning - cause: a jellyfish sting; effect: death. Suzy's journey to acceptance is quiet - she resolves to either say something important, or say nothing at all. But it's also bursting with bittersweet humour, heart-breaking honesty, big ideas and small details. Suzy is haunted by the loss of her former best friend due to a final argument that passed between them before she died. As a result, she retreats into the silent world of her own imagination. This is a thought provoking and striking read which will make you think from the very first footprints that you take into this brilliant and creative plot. The narrative strikes a natural voice deep inside your head and heart; you will easily be drawn into the mindset of a child. The main character makes a number of incredibly painful and socially awkward choices which leaves the reader with much to talk and think about. Suzy embarks on a quirky plan to prove the truth about Franny's death. There might be another and more logical solution to her best friend's death, rather than it being a random drowning. 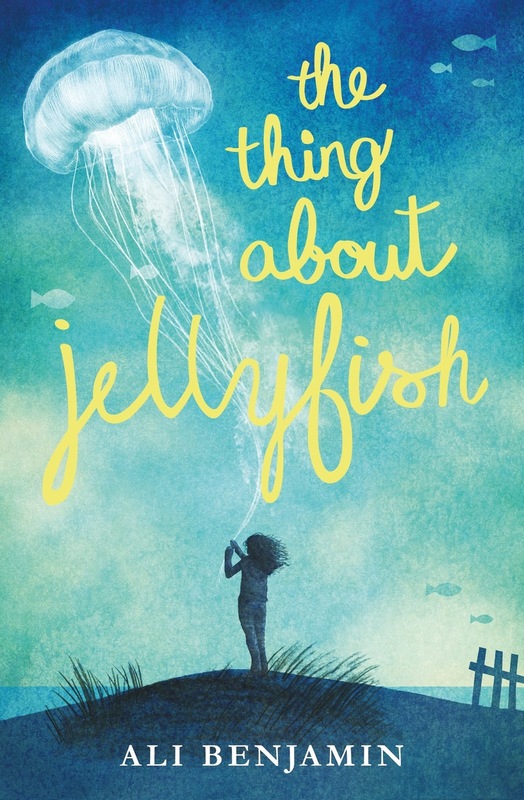 The deep fascination for jellyfish in this book sparkles and shines its way to the heart of the book. This part of the book is written exceptionally well. Science and logic is used factually, in a detective sort of way, to prove a theory which is really well researched and works very well, in my opinion. It makes this book a magical experience for me and stands out to everyone who reads it. The thought process and the character's journey is heartbreaking and truly gripping to read. I read this book in super quick time as it's a wonderful book for 8+ age. It is one that would be amazingly good to read out loud in a classroom or book group, so that everyone can talk about it and discuss the topics within the book. It's sensitively told through a strong and believable main character. This debut story focuses on acceptance, despair, grief and wonder. It is a fantastic read for anyone who has suffered the loss of a loved one, especially from the perspective of a child. It is not depressing, but shines with a deep undercurrent of hopefulness and has some uplifting moments of humour. This book pulsates like a jellyfish; the beating transparent heart will resonate deep into your fantasy brain and stay with you for a very long time. It's very sad through its brutal and honest look at friendship and family. It is an extraordinary view of the world through the eyes of Suzy, as she realises that life can be scary, but if you look hard enough there's also beauty there too. How can someone all of sudden, just no longer be there?